With the advantage of Taiwan’s comprehensive industrial clusters, the waste management system will be reformed and application technology for the circular economy will be developed so as to reduce the negative impact on the environment caused in the process of utilizing resources, as well as to improve the efficiency of resource and energy use. This can help achieve the goals of balancing the economy, stabilizing development, and minimizing the burden on the environment. In Taiwan, the government has established a resource recycling system with the enactment of the Waste Disposal Act and the Resource Recycling Act, thereby authorizing the competent authorities for the different industries to draft related rules and regulations governing industrial waste and resource recycling. 3. "Program for Application to Set Up in New Materials Cycling Industrial Parks"
The government has a plan to establish a new materials cycling industrial park in Kaohsiung City as the site for the development of new materials to promote research and development of high-value-added new green materials. 4. "Nationwide Dedicated Sites for Circular Economy Pilot Projects"
For the effective launch of the circular economy, the government has plans to establish a number of test sites for circular economy pilot projects with the aim of eventual nationwide dissemination cross-industry application. With a complete ecology of industrial chains and clusters, Taiwan is an ideal place for energy and resource integration technologies and waste recycling. Taiwan spares no effort in promoting resource integration at industrial parks. especially the Kaohsiung Linhai Industrial Park which is focusing on the integration of energy and resources in the metal manufacturing, chemical and shipbuilding industries. The annual linkage volume has reached 2,000,000 metric tons, with fuel savings of 122,000 kiloliters, and carbon emissions reductions of 378,000 metric tons. Taiwan is a vital global base for the research, development and manufacturing of optoelectronics and semiconductors. Some of the wastes generated from the production processes of these industries can be recycled and reused in the original processes and some can be regenerated as alternative materials for cement, steel, and chemical production. Taiwan’s intellectual property framework is in line with international standards and has designated prosecutors and courts for handling intellectual property-related cases to safeguard intellectual property rights. The government is promoting green production processes by introducing smart production to create environmentally friendly, safe, and high-added-value products, and to develop high-value new materials and environmentally friendly low-carbon new materials. International enterprises are welcome to invest in Taiwan for joint ventures, technology transfer, or joint development for advancement into the new materials market in the Asia-Pacific region. 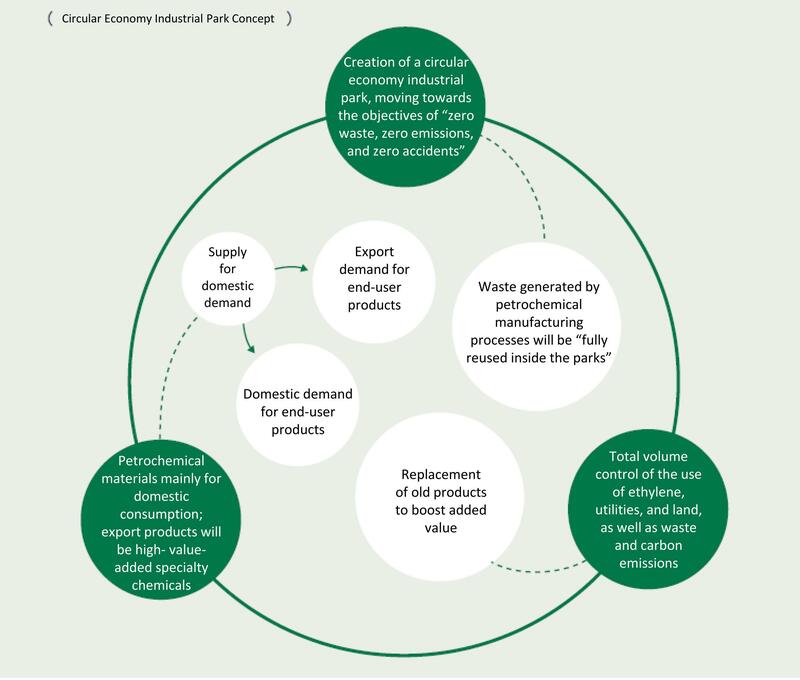 In accordance with the “Program for Application to Set Up in Nationwide Dedicated Sites for Circular Economy Pilot Projects”, the government will set up a “Circular Economy Industrial Park” as a long-term task aimed at providing international enterprises with an all-new site for the development of high-value green materials. Taiwan is a vital global base for the export of high-tech parts and components and generates large quantities of chemicals and other wastes from high-tech production processes every year. 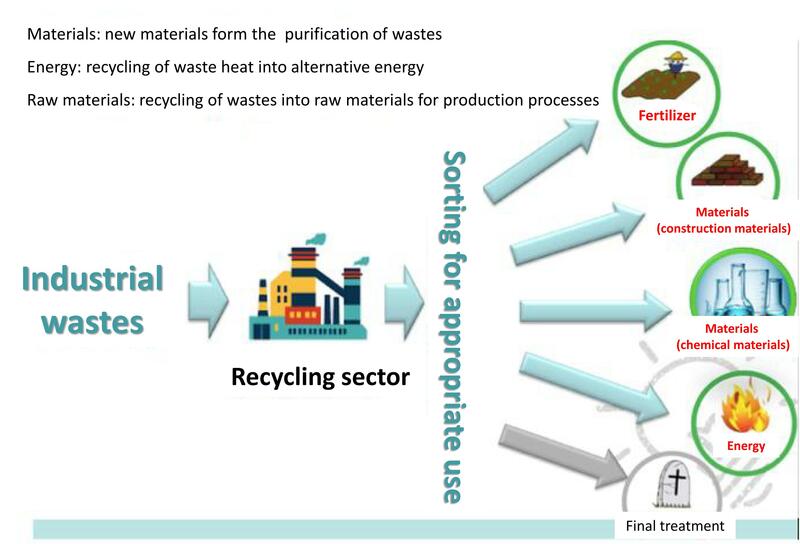 These chemicals and wastes can be purified or refined for recycling, presenting ideal opportunities for international enterprises with related technological know-how to invest in Taiwan. The Japanese firms JX Nippon Mining & Metals and Tanaka Precious Metals have invested in the recycling of gold, silver, copper, iron and other metals, while Nippon Refine and the World Resources Company of the U.S. have invested in the recycling of copper, nickel and zinc. Giant Bicycles operates the public bike rental system Youbike, providing environmentally friendly transportation services. The Singtex Industrial Co. produces functional fabrics made from coffee-ground fibers. The Taiwan Semiconductor Manufacturing Company (TSMC) captures and reuses 95% of its waste products. Far Eastern New Century uses recycled polyester bottles to produce high-quality sports apparel.